What The Jays Did Wrong After Clinching The AL East: Never Take The Foot Off The Gas! The Jays were the best team in the Major Leagues over the last two months, however some late season decisions may have cost them the #1 seed,and thus an easier opponent in the ALDS . I take you back to Wednesday Sept.30th when the Jays had a slim lead against the Royals for the #1 seed in the American League. Their magic number was also down to one game in the AL East. The object was to clinch with a win in either game of a doubleheader at Camden Yards that evening. The club responded with an absolute speed-bagging of the home squad – clubbing them 15 – 2 in front of a large Canadian crowd that had made the trip from North of the border in the 1st game. What they did in the next 24 hours might have actually sealed their playoff doom. Alex Anthopoulos had done a nice job of assembling his club with players from other teams. To construct a team with this type of caliber, it can be traced all the way back to the Jose Bautista and Edwin Encarnacion brilliant extensions, while the Jays GM were able to break free from albatross contracts from Vernon Wells and Alex Rios. He is close to the finish line, but with a flailing Canadian Dollar, and his many guys with 1 or 2 years left on the club signed, he must go one step further to gun for a championship. What a difference from just a few seasons ago. Toronto is on the cusp of contention, and is yielding the best club they have probably since their 1993 World Series run. The payroll has crept up incrementally – and they are in the top 10 of the game. The only Canadian franchise is estimated to have a budget of $127.3 MIL this year. This would slate them 10th in the Majors. The clubs ahead of them include: Dodgers, Yankees, Red Sox, Phillies, Nats, Angels, Giants, Rangers and Tigers. This total still only puts them 3rd in their own Division. Having signed Russell Martin to a 5 YR deal worth $82 MIL jumps the teams salary big time, but one could argue he will help the team lower its ERA. Toronto absolutely stole Jose Bautista from Pittsburgh, and then saw Edwin Encarnacion selected off of waivers by the A’s, only to see him return as a Free Agent 6 weeks later. 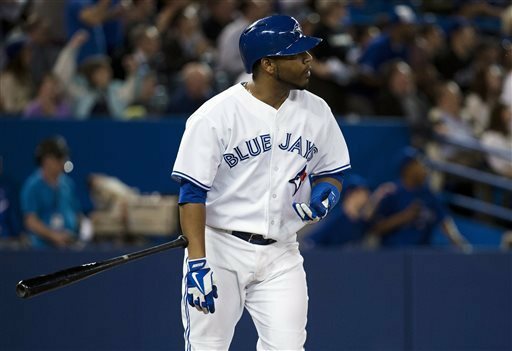 The Blue Jays have seen EE bash out several seasons worth of awesome since then. The SkyDome was opened in May of 1989. For the championship ERA, the club drew 4 Million fans each per year. In recent years, it was tough for the club to draw 2 Million fans. In 2013, with the promise of a new club mantra, based on Free Agent signings, the team held the best year to year attendance boost in 2013. If the Jays can’t spring out of the gate fast in 2014, I think the Walkup single game tickets will be tremendously affected negatively. Toronto has not made the playoffs since winning back to back World Series in 1992 and 1993, and only them and Kansas City hold that dubious honor since the Player Strike/Lockout ensuing seasons of 1994 – 1995. The Toronto Blue Jays have been a franchise in question for over 20 years. This floundering franchise has gone through 11 manager changes since winning the World Series in 1993 vs. the Philadelphia Phillies. 2 of those managers in Cito Gaston and John Gibbons have been hired twice! The 2013 season was supposed to be the year the Jays went all the way. GM Alex Anthopolous numerous moves acquiring major pieces to what was supposed to be a contending team. The Blue Jays were the odds on favorite to win the World Series in 2013 among oddsmakers. After a failure of a season, the gambling websites are still placing way too much faith in the team. To have them listed as tied with the Rays for the 12th best odd (+1800) to win the World Series is a stretch. This team has committed $129 MIL already for 2014 payroll, and have not much room to gamble any more cash on the Roster. This is incredible considering the bargain the team has with Edwin Encarnacion and Jose Bautista being just paid $23 MIL between the two of them. It was a 2013 season that saw the team have the biggest spike in attendance in the majors, but it also came at a hefty price in total team salary. For as much as the team forked out in payroll, they must not have been able to recoup all of their money. Their payroll places them right in the middle of AL East pack. The Yankees are right near the Luxury Tax Threshold right now of $189 MIL at $182 MIL – and the Boston Red Sox are hovering at around $160 MIL. 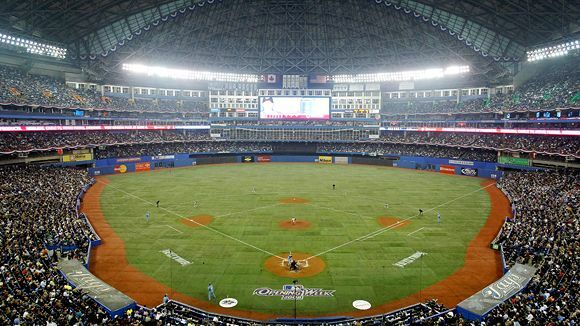 Following the 2012 Major League Baseball season, Toronto Blue Jays GM Alex Anthopoulos made some noticeable moves, to seemingly re-invent Canada’s team. Jay’s fans everywhere were ecstatic and pumped for the upcoming season, thinking that playoff baseball would finally return to Canada after 20 long seasons. The off-season started with a boom, with the signings of Maicer Izturis (3 yr-$9 million), and Melky Cabrera (2 yr-$16million). This was followed by acquiring hard throwing Esmil Rogers from Cleveland. 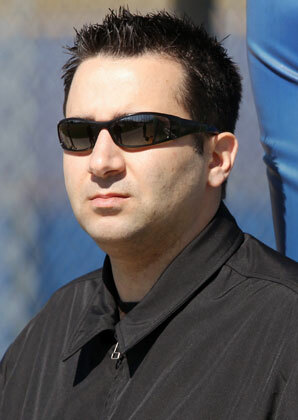 On November 14th, Anthopoulos completed a blockbuster trade with the Miami Marlins, receiving pitchers Josh Johnson (2-time All-Star)and Mark Buehrle (4-time All-Star), short-stop Jose Reyes (4-time All-Star, 2011 NL Batting Champion), catcher John Buck, utility man Emilio Bonifacio, and $8 million in cash in exchange for pitcher Henderson Alvarez, short-stop Yunel Escobar, catcher Jeff Mathis, and prospects. It was a steal. Toronto then sent John Buck and prospects to the New York Mets, for reigning NL Cy Young winner R.A. Dickey, catcher Josh Thole and a prospect. 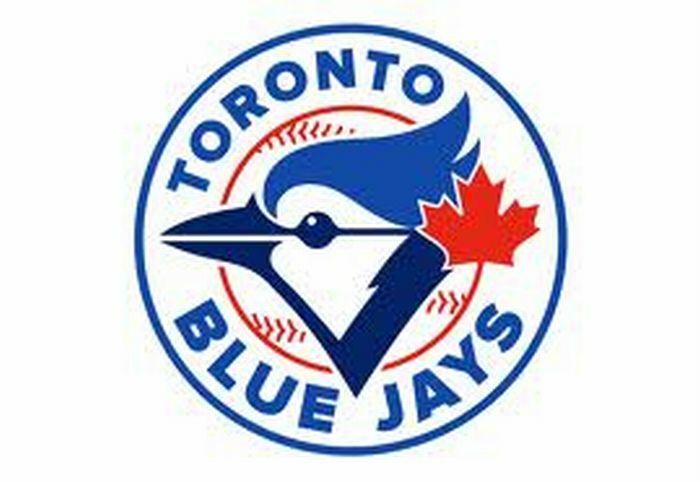 Odd makers out of Las Vegas named the Toronto Blue Jays as the favorites to win the 2013 World Series. Too good to be true right? Pretty much. Jose Bautista is one of the power threats in the line up for Toronto. He has rebounded nicely this season, after injuries cut his 2012 season short. He has a .261/.357/.857 triple-slash in 2013 with 27 HRs and 72 RBIs in 440 at-bats. 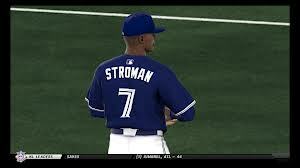 He has 51 extra-base hits on the season, with 115 hits overall to go along with 220 Total Bases. He fares better against right-handers with a .263 batting average in 350 at-bats against them, while he is just hitting .256 facing southpaws. Bautista is still a threat with runners in scoring position, as indicated by his .301/.410/1.002 triple-slash with 6 HRs and 45 RBIs in this situation. He is still solid with two outs and runners in scoring position with a .306 batting average and 17 RBIs. They need him to stay healthy to contend in 2014. The Toronto Blue Jays have not had the greatest of seasons with them dead last in the American League East division. They trail the Boston Red Sox by 15 games and the chances of them being a Wild Card team are slim at best. One of the reasons that this season has been a nightmare for the team that made plenty of noise during the offseason is with their pitching. They have allowed 590 runs this season, and only the Houston Astros have allowed more runs at 633 this season. Triple Play Podcast #10: An Interview With MLB Reports Cards Correspondent Landen Crouch + Poor Show Of Brett Lawrie! Landen Crouch of mlbreports.com is our guest on this episode as we discuss the continuous success of the cardinals. We also cover their rich history as Landen gives us his Mt Rushmore of Cards greats. 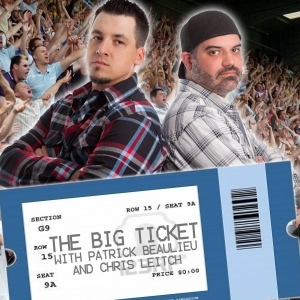 Finally we bat around Brett Lawrie‘s recent run-ins and lack of maturity. The Giants have gutted out a 12 – 7 record despite Matt Cain being 0 – 2 with a 7.15 ERA, and Ryan Vogelsong featuring an early season ERA of 5.89. Buster Posey is also off to a slow start. This team has so much depth and talent, I see nothing that will stop this club from taking their 3rd NL West Division crown now that the LAD have had severe injury problems to their Starting Rotation. 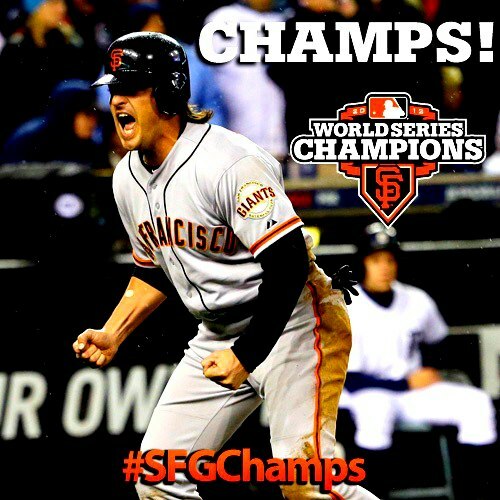 The Giants take their rightful spot as #1 in the MLB Reports Weekly Rankings thids week. The Major League Baseball Season is roughly 10% over and we are seeing some trends and patterns. The next time you wonder why games are so long in the game right now, look no further than there are about 150 hitters that are currently on pace to Strikeout 100 plus times this season. The Cincinnati Reds won every game this past 7 days, after losing every day the week prior. This is simply why they shot up the rankings. I think the NL Central is the weakest Division this year. It was my prediction that the oldest professional baseball club would run away with this Division by at least 10 games. Shin-Soo Choo and Joey Votto are on the Basepaths at all times – carrying an OBP of over .500 plus each. Votto is starting to drive the ball with authority too. Brandon Phillips, Todd Frazier and Zack Cozart are driving in Runs at an incredible rate. Look for BP Follow @DatdudeBP to be a dark horse NL MVP candidate. Can The Blue Jays Weather The Jose Reyes Injury? 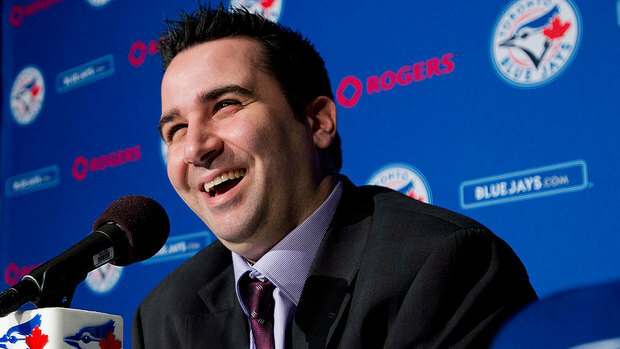 Anthopoulos is about as prudent a man as you will find. He is all smiles in this press conference, but he knows what is at stake. He has deemed that the “time is now” for the Blue Jays to go for it all, and convinced his bosses to risk hundreds of millions of dollars. If the team he has assembled does not compete, for any reason, he may be out of a job. The team has had a mediocre start at 6 – 7 in the tough AL East – and have lost their prime Leadoff Man for 3 months. Going the extra mile to add depth in the franchise may enable the club to stay in contention until Jose Reyes comes back in July. Jose Reyes was the best player acquired over the winter by the Toronto Blue Jays. He was supposed to be the Leadoff Hitter, provide speed and flash the glove at the Short Stop position. The 30 Year Old was doing just that before going down in a heap at Second Base over the weekend stealing a bag. Incredibly, the guy almost was injured even weeks doing the very same thing just a few weeks back. Brett Lawrie was activated from the Disabled List last night. The initial plan was to maybe play him at Second Base, with Jose Bautista moving back to Third Base. This would put Maicer Izturis at Shortstop, with relegating Emilio Bonifacio to Right Field.